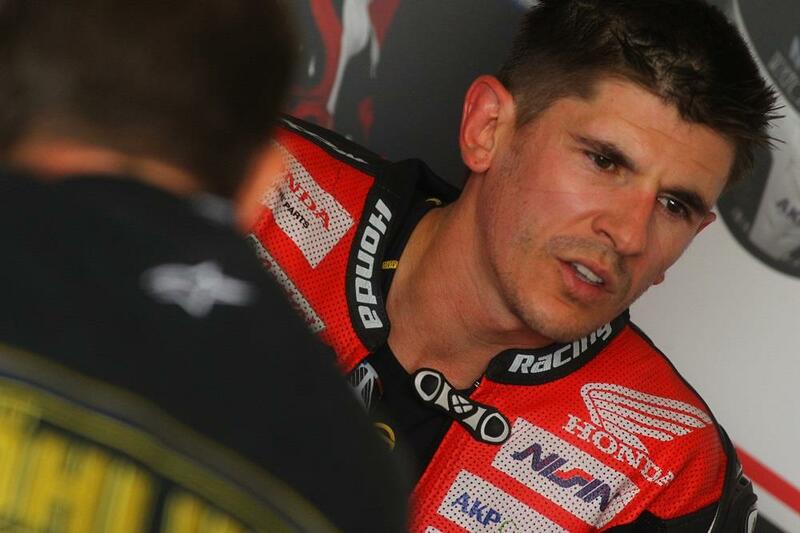 Jason O’Halloran was left beaming with confidence after a strong opening day in the fifth round of the 2016 MCE British Superbike championship at Snetterton. The Australian shrugged off a late crash to top the timesheets in the day’s only dry session and posted competitive times in the morning’s damp practice, leaving him confident of taking a step forward with his Honda Racing team this weekend. After he qualified on the front row and taking two third place finishes, Snetterton marked a turning point for O’Halloran last year. A positive outing at the Snetterton test three weeks ago saw him set the second fastest time after finding an improved feeling with the CBR1000RR Fireblade. "Today has been a good day! This morning we had a wet session and I learnt a lot, I was happy where we ended up but knew we were capable of more,” he said. “I went into the afternoon's session feeling confident and happy with how the bike was feeling, throughout the session it was faultless and I felt like I could have done what I wanted with the bike and could just keep pushing. "We played about a little with some settings, but not too much as I was confident with what we had. I did have a little off at the end of the session, but we tried something different that didn't quite work out, but we finished the day P1 so it's all good. I feel we're in a good place for tomorrow now and also the rest of the weekend come wet or dry. I'm just looking forward to getting back out there now and seeing what we can do."